A KnowledgeWave subscription provides end users with access to our blended learning model, which combines on-demand videos with live webinars and online classes. Now let's highlight an example from KnowledgeWave's on-demand video library. Excerpted from our Skype for Business training, this 2 minute video explains how to schedule a Skype meeting from Outlook. The video above provides a quick explanation of a certain feature. Short, task-oriented videos like this are perfect for quick "How do I do X?" situations. But sometimes you want more comprehensive training. We provide that, too. This screen shot shows an entire lesson: almost a full hour of training that walks you through the Skype for Business desktop application. 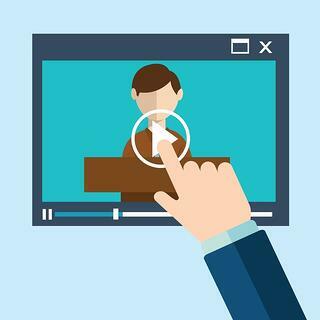 If you would like to further explore KnowledgeWave's on-demand video training, we offer a free trial. No credit card required, just free access for 30 days. p.s. 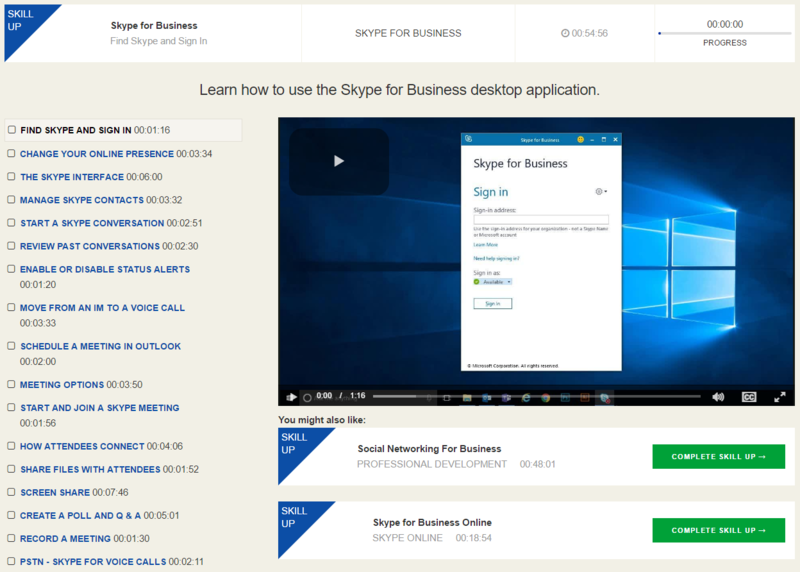 Our Skype for Business training is frequently requested and highly regarded. Give us a call if you have plans to roll out Skype for Business; we can help get your team up-to-speed.